SP’s Aviation (SP’s): In the context of the recent upswing in the relations between the US and India and especially with India being declared by the US government as a “Major Defence Partner”, what are the implications for the IAF in terms of role and responsibility both at the regional and global level? 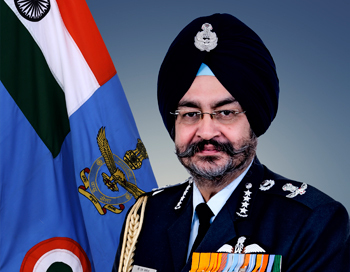 Chief of the Air Staff (CAS): With the fourth largest military force, third largest economy in terms of Purchasing Power Parity (PPP), a vibrant democracy and geostrategic location, India is poised to be a major player for maintaining stability in the South Asian region. The US Government recognised India as a Major Defence Partner. Under this partnership, Indian companies are likely to benefit due to feasibility of transfer of technology (ToT) in defence related equipment. SP’s: With rising tension on the Sino-Indian border and enhanced activity by the Chinese Navy in the Indian Ocean, is there a possibility of the situation escalating into an open conflict between the militaries of the two nations? CAS: The issues of unresolved borders are being bilaterally addressed with diplomatic intervention at the highest level and Border Cooperation Agreements between the two militaries. 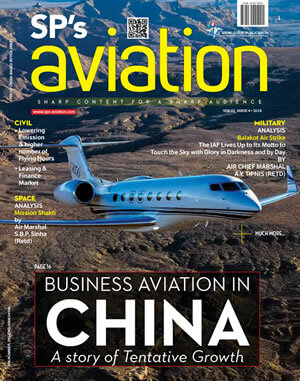 SP’s: How serious is the threat from elements of the PLAAF based in Tibet that are constantly being bolstered? Is the IAF adequately prepared to face the challenges posed by the PLAAF in Tibet that may be arise in the wake of an open conflict with China? CAS: The IAF is fully prepared to face any contingency. 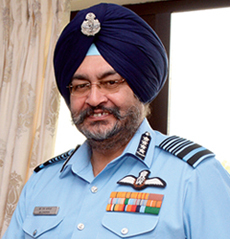 SP’s: Do you see any role for the IAF in dealing effectively with the proxy war that Pakistan has been waging against India both in and outside Jammu and Kashmir? What is your view is the broad strategy that India should adopt to exploit the capability of air power against the menace of proxy war? 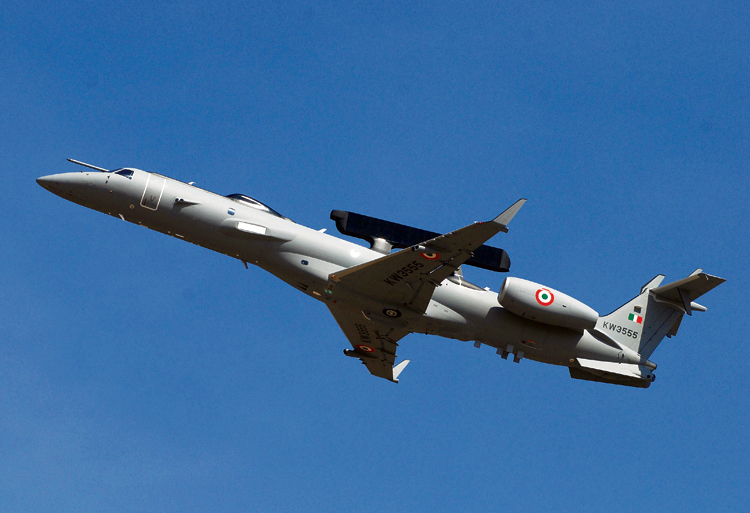 CAS: The capabilities of intelligence, surveillance and reconnaissance (ISR), air maintenance and casualty evacuation are already being exploited for this purpose. SP’s: Given the acquisition of tactical nuclear weapons by Pakistan and the nuclear sabre-rattling resorted to by it in the recent past, what are the implications for India? Is the IAF equipped and in a state of readiness to provide nuclear deterrence against Pakistan? CAS: The IAF is fully equipped and in a high state of readiness to face any contingency. SP’s: What steps are being taken to enhance the state of readiness of the IAF to counter the threat to national security emanating from China singly or in collusion with Pakistan? CAS: The IAF is prepared 24 x 7 for any threat and is ready for a befitting response in any contingency. The IAF has already proposed a roadmap for induction of fighter aircraft to build up to the sanctioned strength of 42 fighter squadrons and also modernisation. Augmenting the strength of our fighter squadron is our top priority. To achieve this, the IAF is looking at new inductions and mid-life upgrades. Towards this, fleets of MiG-29, Jaguar and Mirage-2000 aircraft are being upgraded in a phased manner to enhance their combat capability. Weapon shortfalls are being made good. The induction of fighter aircraft contracted for includes Light Combat Aircraft (LCA) Tejas, Rafale and the balance of Su-30 MKI aircraft. Acceptance of Necessity (AoN) has also been granted for procurement of LCA Mk1A. Further, the Government of India plans to procure fighter aircraft through the ‘Strategic Partnership’ model and other suitable options are also being considered to ensure that the IAF attains the authorised strength of fighter squadrons. If all the inductions take place as planned, the IAF is expected to achieve its authorised strength of 42 fighter squadrons by 2032 i.e. the end of 15th Plan. 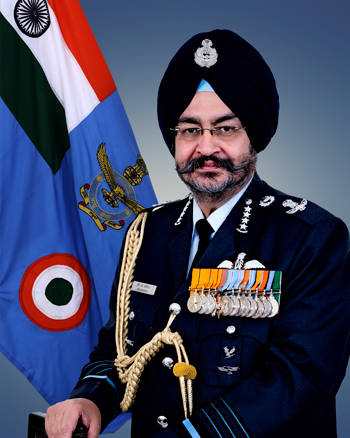 SP’s: The IAF has pioneered the exploitation of UAVs as force-multipliers. Are there plans to acquire UCAVs with varied capabilities as also to integrate these unmanned platforms in operations in a triservice scenario? CAS: The IAF has a plan to build up this capability in the near future with induction of suitable platforms similar to existing fleet of remotely piloted aircraft (RPA). 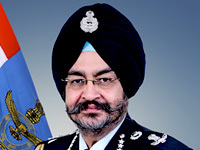 SP’s: Can the IAF rely on the Indian aerospace industry to provide a modern combat platform in the time frame required? Specifically, to what extent will the Tejas Mk I/IA fleet on order with HAL enhance the capability of the combat fleet of the IAF? CAS: The Government has recently introduced the ‘Strategic Partnership’ model as a chapter in Defence Procurement Procedure-2016 (DPP-2016). The IAF plans to procure single-engine fighter aircraft through the Strategic Partner route. Procedure and time lines as mentioned in the DPP-2016 will be followed for the procurement. The LCA Mk 1 has been inducted and capabilities will be enhanced further in the LCA Mk1A. SP’s: Has the project to develop the Intermediate Jet Trainer (IJT) for the IAF been cancelled or is there still a possibility of this platform becoming a reality in the future and if so in what time frame? CAS: A time frame for the IJT can be predicted only after successful development of the aircraft. SP’s: Efforts by the IAF to augment its fleet of aerial tankers has not been successful so far with the tender being cancelled twice. What is the status of this programme at this point in time and the way forward? CAS: Flight Refuelling Aircraft (FRA) are undeniably important combat support aircraft and we are working towards achieving 100 per cent mid-air refuelling capability. We are exploring options to procure additional FRAs. SP’s: Prospects of the IAF entering the fifth-generation with the Indo-Russian FGFA also appears to be mired in uncertainty. What are the impediments that afflict the FGFA programme and what is the way forward? CAS: The fifth-generation fighter aircraft (FGFA) programme has been on for the last ten years and Preliminary Design Phase has been completed. The case is presently with the Ministry of Defence. 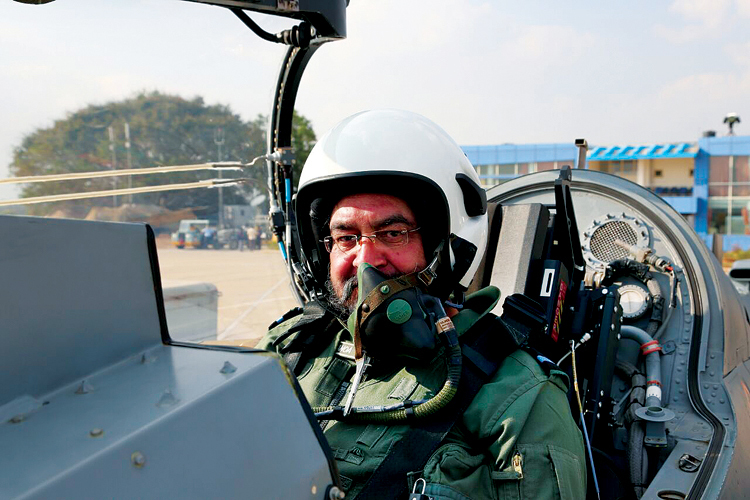 SP’s: How does the IAF view the advanced medium combat aircraft (AMCA) programme? Is there any participation by the IAF in the evolution of this programme? CAS: The IAF has always encouraged the development of indigenous defence production capability and capacities. The IAF is supporting the AMCA programme wholeheartedly.